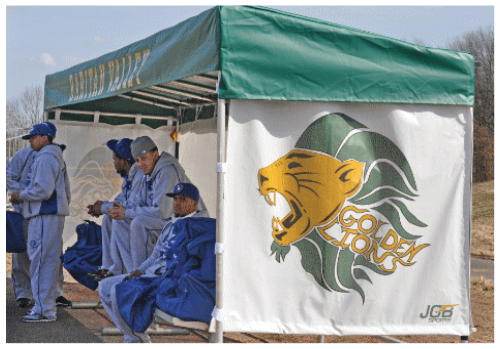 Our portable or permanent shelters and dugouts are sturdy and easy to to set up and take down! Add your team's name on the roof for a special touch at no extra charge. Shelter is 23' long. This item ships free to the lower 48 states! For custom lettering and custom logos, please add the related products labeled as such. Custom lettering minimum print charge is $280. After placing an order for a custom logo or custom lettering, a sales rep will contact you before processing your order. 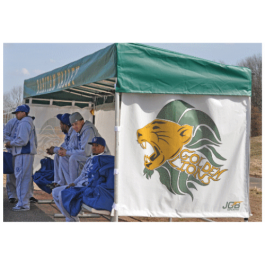 Our portable or permanent shelters and dugouts are sturdy and easy to to set up and take down! 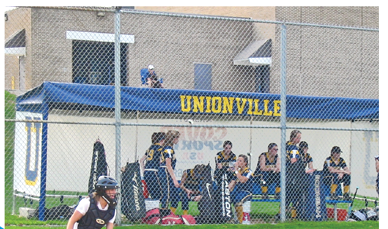 Add your team's name on the roof for a special touch at no extra charge. Customize with many roof and panel color choices. Shelter is 23' long. If interested in more text characters or custom printing on the panels (such as logo or team name), please contact our sales staff toll free at (800) 878-7829 for a personalized quote.